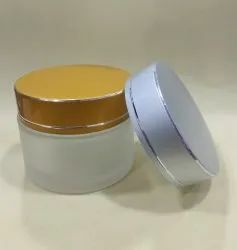 Pioneers in the industry, we offer 30 gm glass cream jars, 50 gm frosted glass jar with silver aluminum cap, 50 gm acrylic customized jar set, 100 gm acrylic cream jar set with natural cap, 8 gm acrylic cream jar set with golden cap and 15 gm acrylic cream jar set from India. 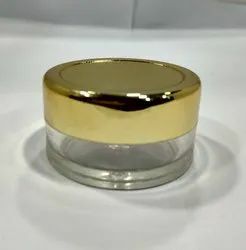 Glass Cream Jars for Day Cream,Night Cream, Tablets, Premium Creams, Tablets & Powders. We are eminent names in the industry in offering a wide range of 30Gm Glass Cream Jars to our patrons. These are used for Skin Care Cream, made from optimum quality raw material under the visionary supervision of the best industry experts. The offered range of products is tested against numerous quality parameters to achieve the predefined quality norms. Our clients can avail these products at pocket friendly price from us. We are eminent names in the industry in offering a wide range of 50 Gm Frosted Glass Cream Jars to our patrons. 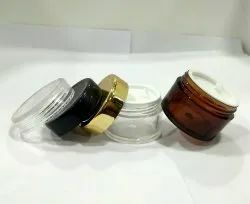 These are used for Skin Care Cream, made from optimum quality raw material under the visionary supervision of the best industry experts. The offered range of products is tested against numerous quality parameters to achieve the predefined quality norms. 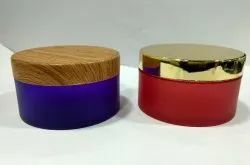 Our clients can avail these products at pocket friendly price from us. 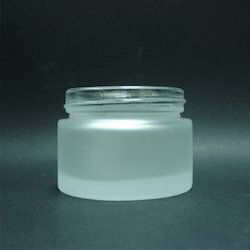 We are the leading supplier of 15 Gm Acrylic Cream Jar Set made available to our clients at competitive prices. 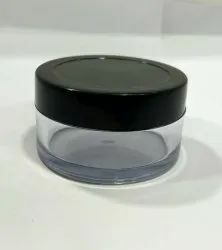 Acrylic Cream Jars for filling Gels,Oils, Creams, Powders,etc.